A smash hit: Ella Fitzgerald sings Cole Porter. | Bob's Jazz Blog. 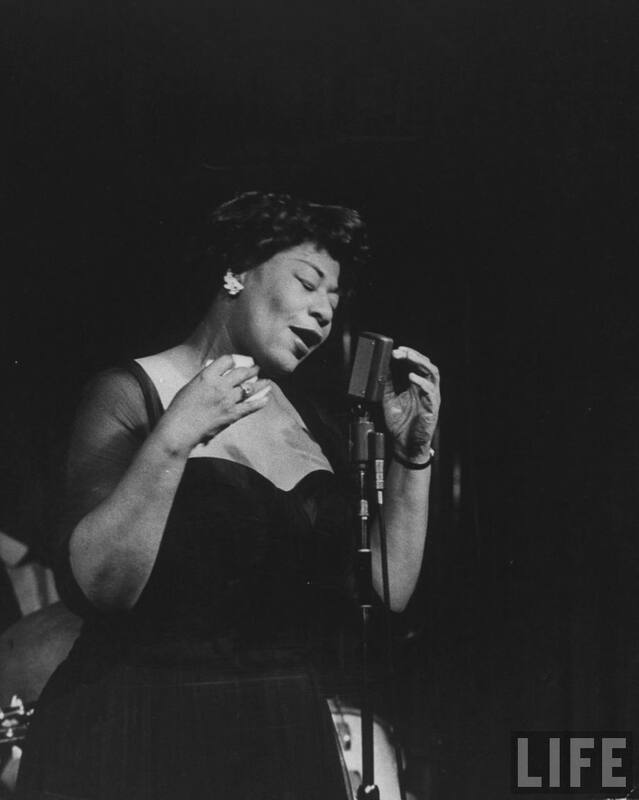 A smash hit: Ella Fitzgerald sings Cole Porter. Next to his activities as JATP impressario and record producer, Norman Granz became in 1954 the personal manager for Ella Fitzgerald. Until then Ella had performed mostly in clubs and ballrooms but Granz believed he could take her to a higher level. And he did. In 1955 he signed Ella for his own Verve record label and started one of their great successes: “The Cole Porter Songbook”. It became a thirty-two-song, two-LP set and was an instant hit with over hundred thousand copies sold. It went to #15 on the Billboard charts and # 2 by the Downbeat poll of best-selling jazz albums. Granz insisted that Ella would sing verses where applicable. Verses were normally left out by singers, with the exception of Sinatra. Ella reluctantly agreed as it meant extra work and rehearsal but it al worked out. After the album was finished Granz went to Cole Porter in his Waldorf Astoria appartment in New York and played him the entire album. Porter was delighted and said “My what marvelous diction that girl has”. « Harmonica Blues liefhebbers opgelet: Uitnodiging “Alex Rossi” harmonica meetup.